he Bucklebury Estate is the oldest landed Estate in Berkshire and one of the oldest Estate’s in the country. Reading Abbey owned the Bucklebury Estate from 1121 until the Dissolution of the Monastries in 1538, a period of 417 years. 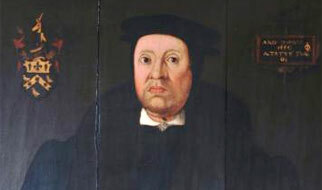 John Winchcombe, Jack of Newbury, purchased the Estate in 1540 and it has descended through the same family to the current owners, Willie and Marina Hartley Russell. The Estate is situated in central Berkshire in the heart of the Pang Valley. The River Pang flows through the Estate. 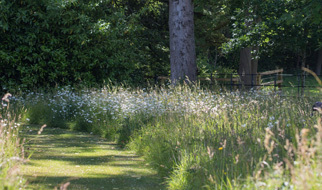 Currently it extends to approximately 1600 acres in the parish of Bucklebury and Stanford Dingley and comprises of farms, forestry, residential and commercial property. It also owns Bucklebury Common. The Estate has a long tradition of woodland management. In addition, the Estate promotes conservation work notably on Bucklebury Common where large areas of heathland have been restored. 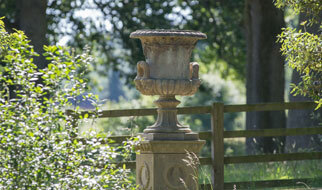 Two pheasant shoots and one clay pigeon shoot operates on the Estate. 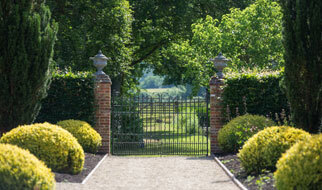 The Estate has extensive Estate records and archives going back to when the family purchased the Estate in 1540. Filled with native flora and fauna. 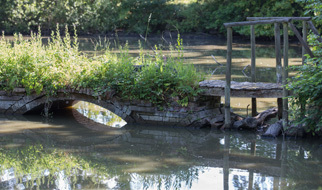 The bridge to the island in the ancient monk’s fish pond.